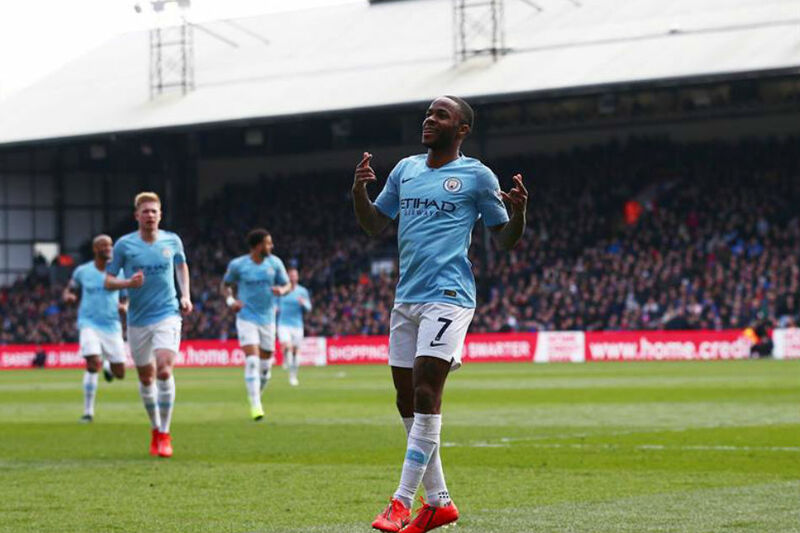 Raheem Sterling struck twice as the Premier League champions Manchester City beat Crystal Palace 3-1 at Selhurst Park on Sunday to stay within two points of leaders Liverpool. Liverpool beat Chelsea 2-0 at Anfield to move to 85 points with four games remaining and City are on 83 but with an extra game in hand. “We expect Liverpool to win all of their remaining games, but the Premier League is in our hands and we have to win all our games and that’s what we need to do if we want to win the title back-to-back,” he said. Former Liverpool forward Sterling predicted that the title race will endure until the last minute of the season. “100 percent the way Liverpool have been playing, it will go down to the wire. I don’t see us slowing down now. Liverpool have a great squad, great self-belief, but so do we,” Sterling said. City now face a crucial ten days starting with a home game against Tottenham Hotspur on Wednesday in their Champions League quarter-final second leg, trailing 1-0 from the opening game. Guardiola’s side then play Spurs at the Etihad again, in the league, on Saturday before the Manchester derby at Old Trafford on April 24. “The players have shown me they want to do it – I didn’t have any doubts about that – and we have taken three points from a very difficult place to win,” said Guardiola. “We have played with incredible personality in the last two or three months – for the last month we’ve known that if we drop points it will be more difficult if not impossible to win the title. “Of course, Liverpool or we could drop points when you don’t expect, and football is unpredictable in that sense,” he added.